How is everyone doing? It's been a great week over here in Utah! One of my Zone Leaders, Elder Whitehead, was called to be AP, Assistant to the President, and we was taken up to the Mission Home in West Valley to get his training and what not. So Elder Leavitt our other Zone Leader got in with us for the week so he wouldn’t be alone. So we have been working in both of our areas this week. 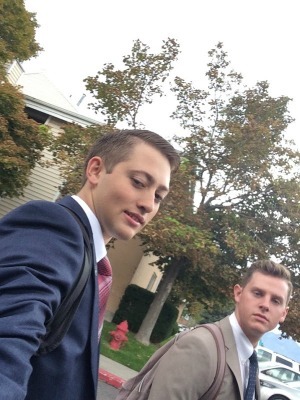 Elder Leavitt covers the YSA in West Jordan, and he has a car so that was nice. We did a ton of stuff this week and it was fun to see how the Zone Leader does things like deliver supplies and what not. It was a great and productive week. 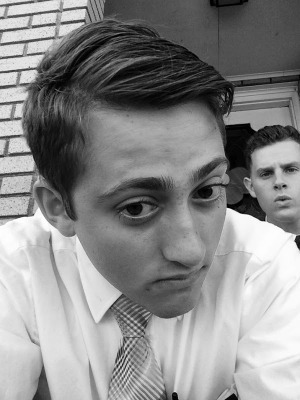 We've been sleeping over at Elder Leavitt's place. He is with members and they are a sweet family named the Algers. It's been fun to get to know them. We taught the Abrams again and they are doing really well. Right now we've been talking about commandments and it's been really awesome. The two kids are great and give awesome answers. One tells these funny jokes every time we visit and it cracks me up. The other one is doing good as well and really wants to get closer to Jesus. It's been awesome to help them get there. They came to church for the first time this Sunday. Also Etti passed the sacrament this Sunday! He was the first baptism that we had and it's been awesome to see him get the Holy Ghost and the priesthood. His family is really good and he loves the gospel. He's from our Samoan Ward and I love the Samoans a ton! Their great and humble people. How they talk cracks me up. We taught them about the commandments last Sunday and it went great! Their really solid kids and I love teaching them! Jared and Etti are great converts! Also we are still meeting with Barbara and she's been doing. pretty good. She wants to be baptized and loves the church and everything we have taught her. 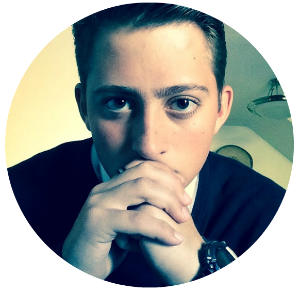 Recently we have been teaching about the Atonement and how to forgive. Since her divorce with her ex husband she is having a hard time forgiving and moving on in life. We spent an hour talking with her about Christ’s Atonement and how to move on in life. She began to cry and it was a emotional and powerful spiritual experience. She's progressing a lot and we're proud of her for her commitment to keep on learning and growing. The Tialevea family is also doing really well! Josiah the boy that I was able to baptize is doing really good and is growing a lot! We have been working with a lot of Elder Leavitt's people this week and that has been a fun experience as well. Elder Leavitt has been out for a while so he's been a great teacher to me and I've loved his company this past week. He'll still be in my district next transfer so that'll be awesome! Also, speaking of transfers, as I'm sure you're all wondering about it, we got our transfer calls last Saturday! I'm gonna be staying here in the Kearns East Stake with Dunham but we will be picking up a new stake, The Kearns Stake. So, now we have two stakes to cover. Basically the mission put all the Hispanics Elders in Spanish wards and we got the rest of the stake. We're still on bikes! We're one of the few English missionaries that are still on bikes so that's awesome! I love biking over here in Utah. It's a ton of fun. 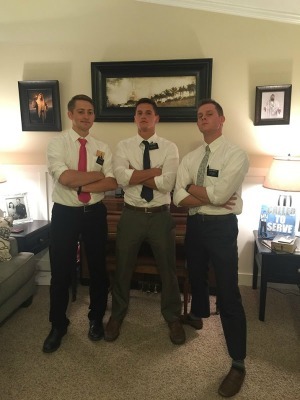 This is Elders Dunham's last transfer so I'll be killing him. I'm gonna miss him, because he has been a great trainer. Our Zone, the Kearns Zone, is now a district and is part of the West Jordan Zone. Most of our zone was Hispanic so now their part of the new Spanish Zones. 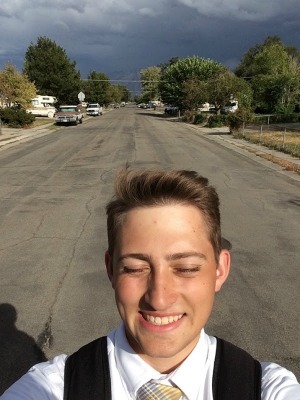 Elder Kozacavitch is still with us so that's great! 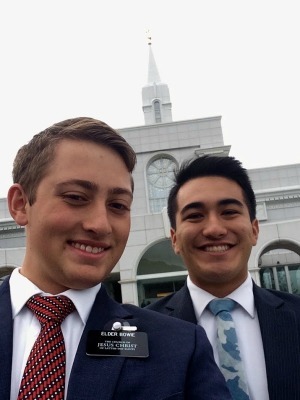 He's with Elder Walker now and is still is speaking in Portuguese. Our ZL Elder Leavitt is also in our district. So it is just the three companionships in our district, so it's really small which will be cool. 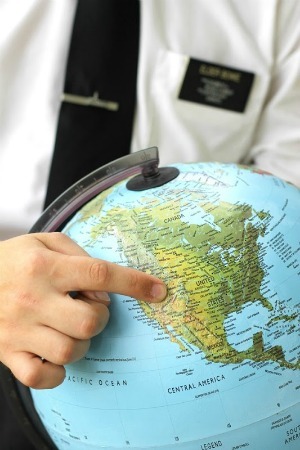 Elder Leavitt's new companion is Elder Hernandez. Both of our new Zone Leaders are from South Africa and they’ve got this wicked accent, so it's gonna be a great next six weeks! Also, for my friends who don't know what a transfer or zone is I'll tell you. A transfer is how my time in the mission is divided. It's every six weeks. After that you could either stay where you’re at or move to a new area with a new companion. It's to help you move around more. And a district is a group of missionaries in an close area. The Kearns district for example is all the missionaries in the town of Kearns. And a zone is two to four districts near each other. So there's a district leader who makes sure everyone is alright and what not. He goes to the Zone Leader for any big issues or for supplies for the district, like pamphlets and books. So that's how the mission is organized. Hope that makes sense. Ask me if you have any other questions. So that about it for the week! I love you guys so much! I miss you guys and your letters and emails keep me going! It's been a great two months! I'm excited for the next 6 weeks! It goes by fast! I hope y'all do good in college, band, life, or anything else your working on! Keep moving forward! See y'all in 22 months.